I have been eyeing Moran State Park (on Orcas Island) since I first purchased my National Geographic Book on State Parks. It has been our home now for three days and I have to say it is a pretty special place filled with hiking trails, swimming lakes, and old growth forest. The land was a gift from former workaholic and governor of Washington Moran who was told by his doctors to either quit his job as governor or die an early death. He took this advice seriously and set off to Orcas Island where he built a kind of min-Hearst castle. Soon after he advocated that everyone spend some time in the country and did what he could to set up Moran State Park. 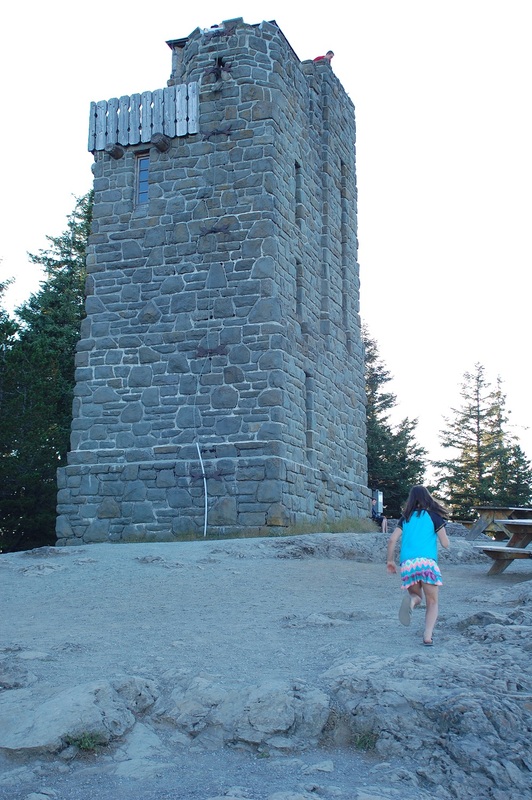 In the 30s the CCC came and built a whole bunch of trails, shelters, and one awesome fire tower meant to recreate a 14th century tower built in Europe. I think it looks like a chess piece (a rook to be exact). Henna sees a tower; kind of like the one a princess might be forced to live in by a dragon. 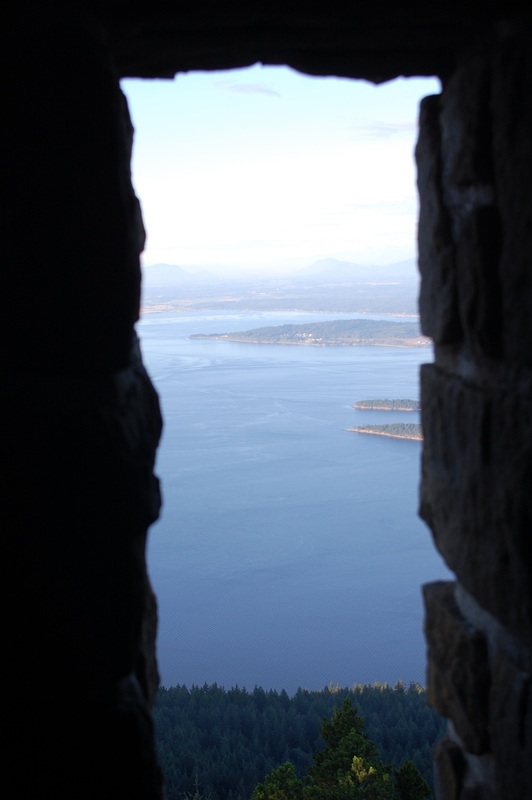 What is without any doubt is the amazing views seen from on top the tower (which at barely 2,500 feet I think is the highest point in all of the San Juan Islands). 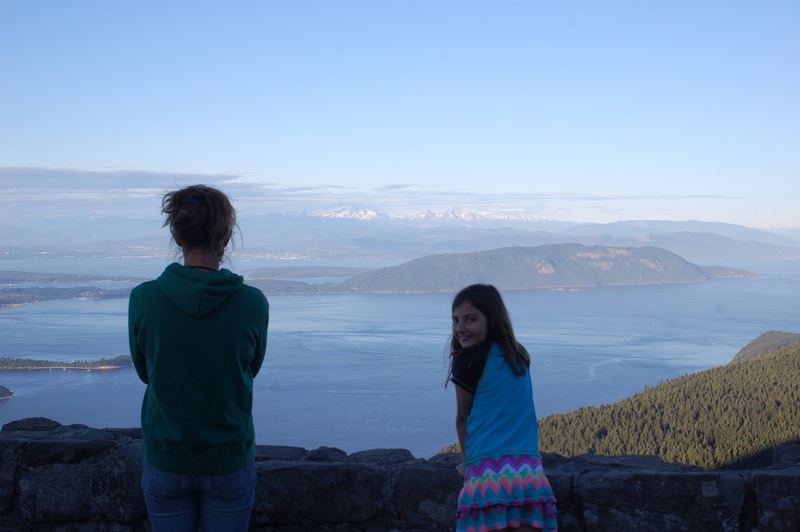 In one glance you can see dozens of islands, Canada, Mount Baker, and the equally snowy Cascade Mountains. Thank you Governor. For just over $70 Corey, Henna, myself, and our car where given a ticket that allows for passage from Anacortes to Orcas Island and then back again to Anacortes. It would be even cheaper if we did as many other passengers did and traded our car for bikes. 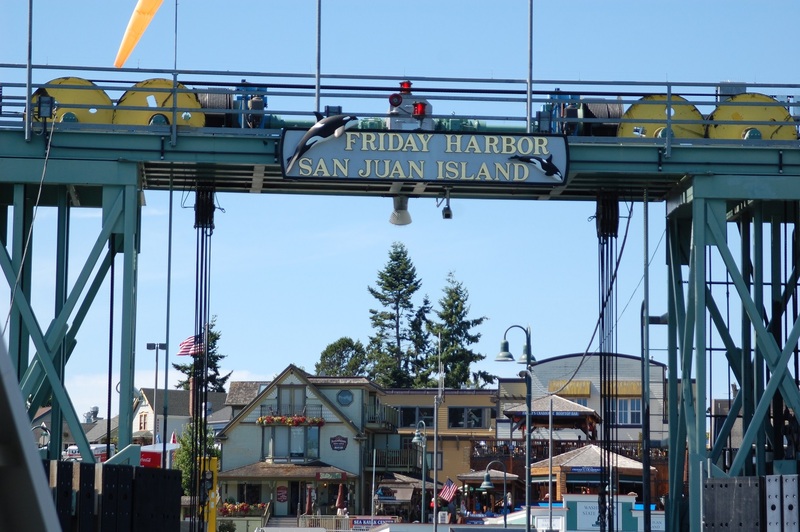 What makes this ride even cooler is the fact that once on the island you can take it free (there would be a charge for a vehicle) to either Shaw Island or Friday Harbor. A lot of people living on the island take advantage of this. Some do not even bother getting off the boat which proves that there is only so much kayaking, hiking, sailing, and fishing one can do. 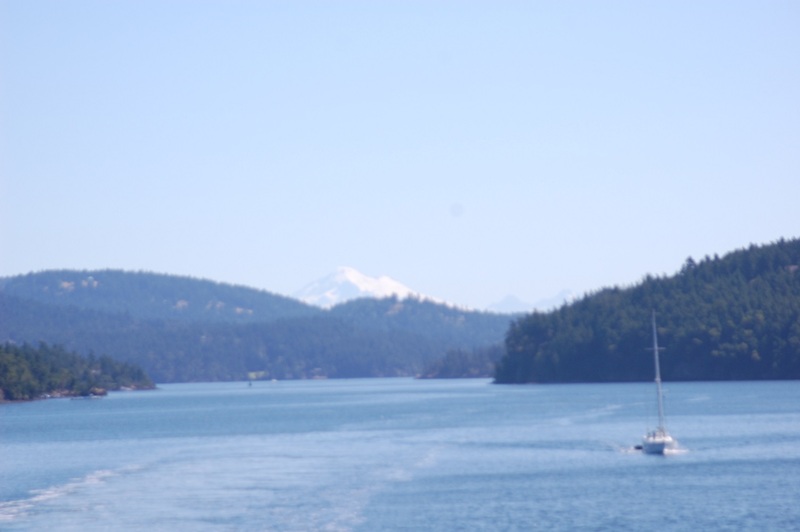 This entry was posted in Milestone Trip 2013 and tagged Friday Harbor, Moran State Park, Washington State Ferry by hennacornoelidays. Bookmark the permalink.